Sheds with porches are just so neat! 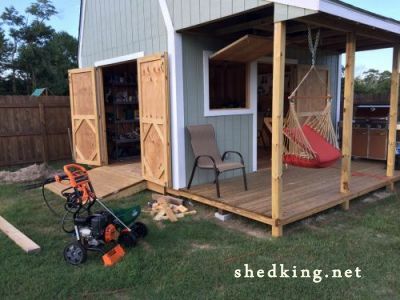 Not only will you get a functional storage shed but you'll also have one where you can sit out on a nice summer night and enjoy the evening! 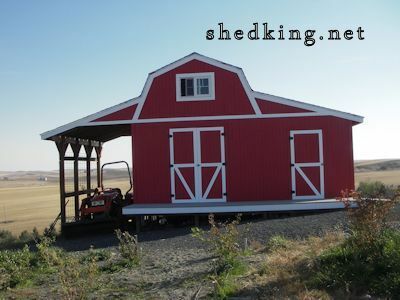 Learn more about each shed by clicking on it's picture. 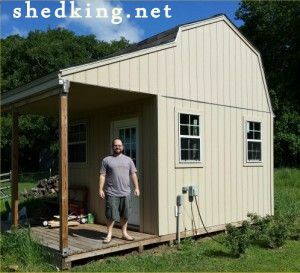 One of The Nicest Sheds I have Ever Seen! Nice Siding And Color Choices! 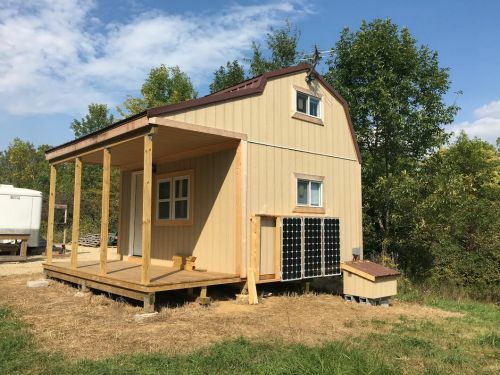 Make a Tiny House With These Plans! Man Shed Has TV and Sound System! 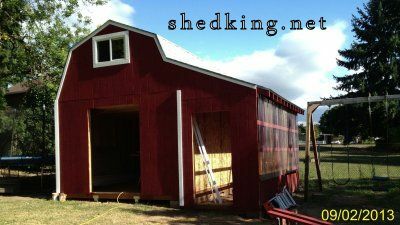 Barn Shed With Side Greenhouse! 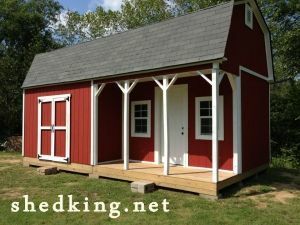 Of all the types, sizes, and styles of shed plans that I sell, the 12x16 is by far the most popular with the barn style roof. They offer the most storage because of the large loft space, and aren't really that hard to build. 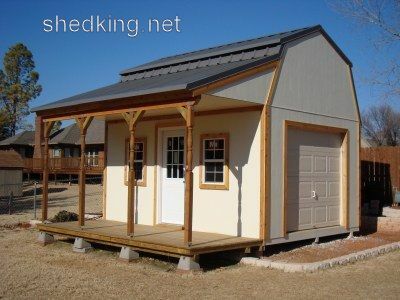 This particular shed design can be used to build a small cabin, tiny house, garden shed, music studio, she shed and more. The plans are incorporated showing a roll up shed door and side entry door off the side porch. Either can be modified, and of course more windows can be added to the builders delight. 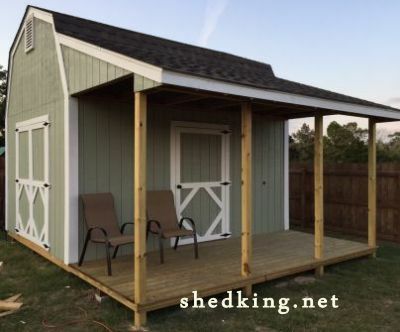 Learn more about the plans used to build these sheds with porches.